Greenway: Enjoy Spring Nature Walks, Explore Campus trails! As the weather warms, spend some time exploring green spaces across campus! The Greenway is a path that connects forests, ponds, gardens, and more from inside the loop to the wooded outskirts of campus. If you were wondering where those cool trails and streams were, where that mysterious pond was, or where that long wooden boardwalk led- or just wanted to take a walk to the woods- join one of the 3 upcoming tours. Come out to enjoy the Spring weather on a walk of the HRG! Finally, some Spring weather! Come out an enjoy the Herbert Run Greenway and all of its Spring glory. The tour will be no longer than an hour. All are welcome: bring friends who may have never heard of or seen the woods and green spaces on campus. The tour will be held rain or shine unless severe weather is predicted. The Herbert Run Greenway (HRG) is a 1.3 mile trail along a tributary of the Herbert Run on UMBC's campus. 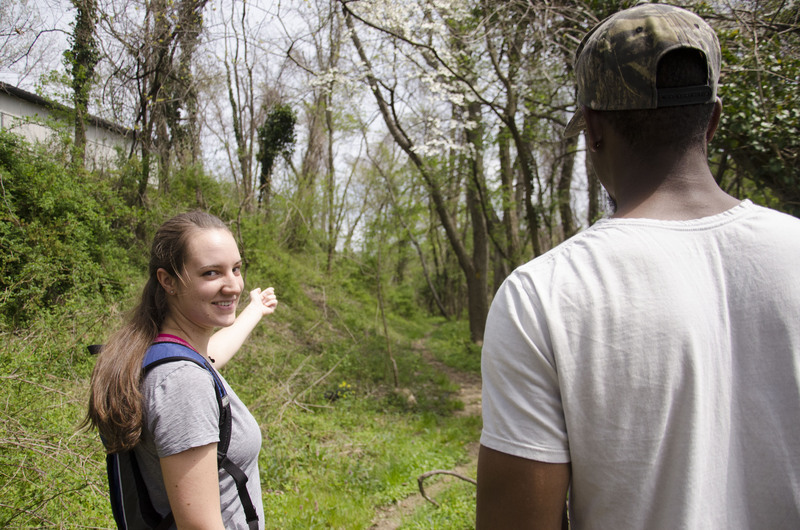 The trail was designed by students in an Interdisciplinary Studies seminar in 1995 to highlight some of UMBC's natural features and to expand upon a "sense of place" on campus. The HRG includes the Joseph Beuys Sculpture Garden and the Knoll, as well as the Conservation and Environmental Research Area (CERA), the CERA Pond and the new butterfly gardens.